Welcome to Our Office, Now Accepting New Patients! 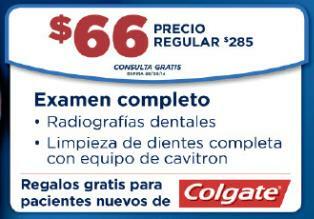 When you visit Jackson Heights dentist Roosevelt Dental Care your smile is our top priority. Our entire team of dental professionals is dedicated to providing you with the personalized, quality dental care that you deserve. At Roosevelt Dental Care, we see all ages, providing excellence in general dentistry, dedicating our knowledge and services one patient at a time and. For your convenience we have two office locations to service patients in Jackson Heights, Queens, Brooklyn, Woodside, Elmhurst, Maspeth, Astoria and beyond. 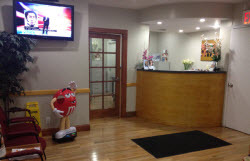 Roosevelt Dental Care is a premier Jackson Heights dentist where you will experience all that modern dentistry has to offer, including a comprehensive list of general, restorative and cosmetic dental care services to meet the needs of the whole family. At Roosevelt Dental Care, we provide high quality dental services including orthodontics, dental implants, periodontal treatments, root canal therapy, and more. Our goal is to assist each patient in achieving and maintaining long term dental health and a beautiful smile. Contact Us Online or Request Appointment Online! Please browse through our website and be sure to contact us if you have any questions or would like to schedule an appointment. You may also use our online appointment request form to schedule your appointment at our Jackson Heights dental office locations. Jackson Heights dentist Roosevelt Dental Care, the office of Dr. Ofir Baruk, Dr. Edwin Ostiago, and associates, are proud to offer family dentistry, cosmetic dentistry, endodontics, Invisalign orthodontics and more. With two dental offices in Jackson Heights we serve patients in the greater New York City Metropolitan area including the cities of Jackson Heights, Queens, Long Island, East Elmhurst, Astoria, Flushing, Brooklyn, Forest Hills, Nassau, and beyond. If you are looking for a dentist in following zip codes: 11372, 11368, 11380, 11373, 11369, 11370, 11371, 11377, 11378, 11104 or 11106 please contact Jackson Heights, NY dentist Roosevelt Dental Care today to schedule your appointment!